We are the precision makers. Sun FACETS, a comprehensive ERP Jewellery software, offers actionable insights into the Jewellery industry, ensuring seamless business management. Integrated with multiple solutions and VAT and GST enabled, Sun FACETS is the best Jewellery software which is currently being used across 25+ countries and is compliant with all of their regulations. Available in English, Arabic, Farsi/Persian, Turkish, Mandarin, and Russian languages, Sun FACETS is a robust Jewellery management software with easy to use configuration and interface. Here’s a preview of our customers’ acknowledgment on the software. Presenting efficient ERP software for Jewellery business providing integrated automation solutions catering to the Jewellery Industry. End-to-end services from financial accounting, audit, consulting, company formation. Suntech is synonymous with offering smart jewellery software solutions through industry best practices. Our ERP software for gems and jewellery is compliant to multiple tax regulations across 25+ countries including VAT enabled (UAE) and GST enabled (India). Our industry-specific jewellery management software solution extends across every micro vertical of the jewellery industry including metal jewellery (gold, silver, platinum etc. ), semi-precious, precious stones and diamond jewellery along with exclusive watches. Our ERP jewellery software, built on the robust Microsoft platform, provides effective Jewellery software across 25 countries and 6 languages. 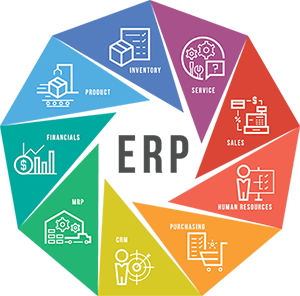 Equipped with 1500+ person years of domain expertise, our software provides niche industry specific solutions for finance, inventory, trading, manufacturing, wholesale, retail, bullion and refinery with Customer Relationship Management, among others. The jewellery ERP software automates the process from financial management to operations and customer management thereby helping in billing through tablet-enabled POS. Our ERP software in Dubai and India ensures that jewellery companies, SMEs and well-established ones, can achieve exponential business growth. Gems and Jewellery (including Watches) businesses face significant business challenges to achieve scalability due to the internal controls required to manage high-value inventory and constant customer demand of unique designs. Our TAX/VAT/GST enabled software helps our clients to ensure business growth while managing compliance. Our industry expertise and technological knowhow coupled with the thorough knowledge of the unique business needs of the industry, enables us to offer the jewellery specific ERP software configurable for each of our clients’ core processes. We consistently innovate with the features of our products to enhance the functionality to address the evolving business challenges. Our efficient customer support services act to increase the usability of the solutions by the various business users at the clients’ organization. Equipped with integrated solutions, Sun FACETS is a user-friendly jewellery billing and accounting software that helps in managing financial accounting needs. With security features, multiple modules architecture and advanced add-ons, our jewellery ERP software increases the productivity of the organization, and hence positively improving profitability of the business. Our expertise is based on profound insights from clients we’ve been closely associated with for years. Every Jewellery business has a unique way of functioning and therefore you need a software that harmonised with your business requirements, functionalities, performance, presence, and is uniquely available to solve your business challenges.